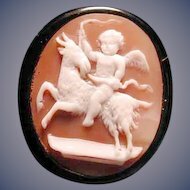 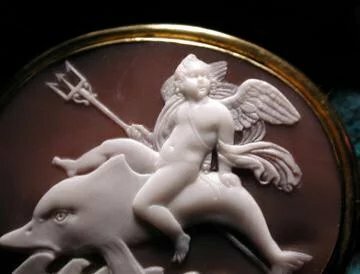 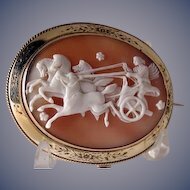 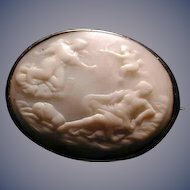 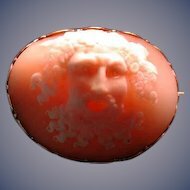 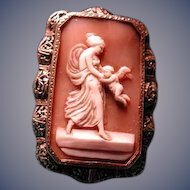 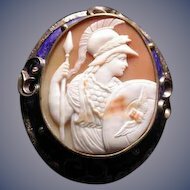 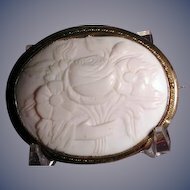 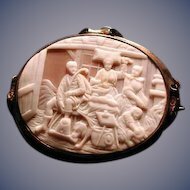 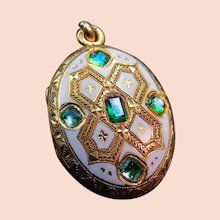 A Bull's Mouth shell cameo in a nine carat gold , circa 1840. 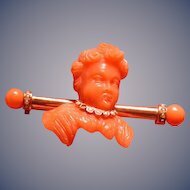 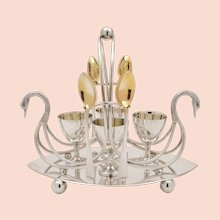 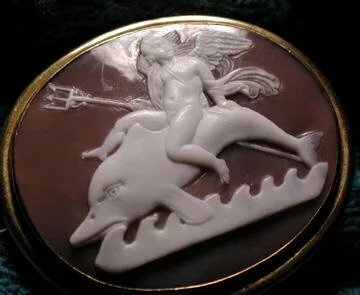 Setting not marked but tested.The subject is rare in cameos - Eros rides on a dolphin, having seized Poseidon's trident, as a symbol of Love, Ruler of Seas and Oceans. 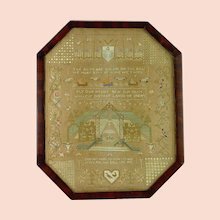 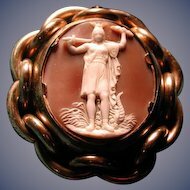 The subject is after a Thorvaldsen bas-relief entitled 'The Four Elements' . 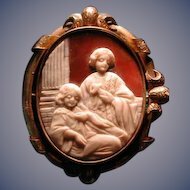 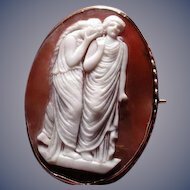 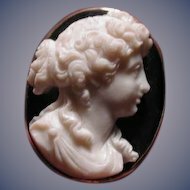 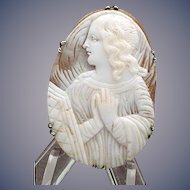 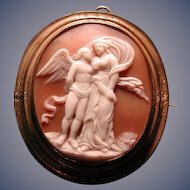 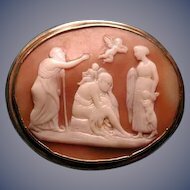 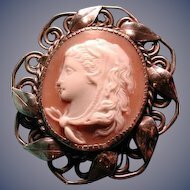 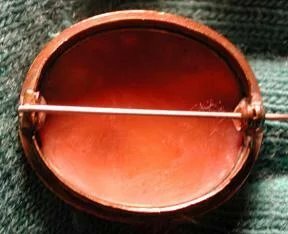 .The size is a petite 1 3/8 by 1 5/8.There is a tiny scratch on the front top left cannot be seen just looking.Much nicer in person.Has been in my collection for years The back of the cameo is wavy just natural to the shell.I have not seen this theme before.